Returning to America, he made his debut with the New York Philharmonic playing Bartok's Concerto no. 2 in 1963. Since then, he has performed more-or-less everywhere, from the Aleutians to Zagreb. Conductors with whom he has appeared as soloist include Barenboim, Ozawa, Tilson Thomas, Temirkanov, and Slatkin, as well as such giants of the past as Leonard Bernstein, Eugene Ormandy, Pierre Monteux and Leopold Stokowski. He has played sonatas with Itzhak Perlman, piano duos with Ronit Amir (his late wife), Carmel Lowenthal (his daughter), and Ursula Oppens, as well as quintets with the Lark, Avalon and Shanghai Quartets. He has recently recorded the complete Annees de Pelerinage of Liszt. His other recordings include concerti by Tschaikovsky and Liszt, solo works by Sinding and Bartok, opera paraphrases by Liszt and Busoni, and chamber-music by Arensky and Taneyev. Teaching, too, is an important part of Mr. Lowenthal's musical life. 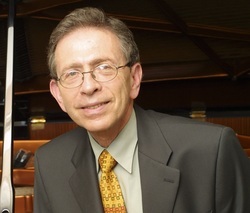 For twentythree years at the Juilliard School and for forty-five summers at the Music Academy of the West, he has worked with an extraordinary number of gifted pianists, whom he encourages to understand the music they play in a wide aesthetic and cultural perspective and to project it with the freedom which that perspective allows.